I love the spring time! It means trees are budding and flowers are blooming, but best of all it means garden time! It seems like every year we are late with putting out our garden. Something always happens, whether it be life or the weather that postpones when we had planned on planting. This year however we had big plans! 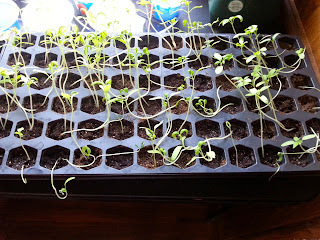 I started some seeds indoors and we were going to get our cool weather crops out, then go on to the summer varities. And then life happened. My mother-in-law put her house up for sale which meant that we had buildings to move to our place (YouTube video coming soon) as well as a few other big items. And if that wasn't enough, I ended up needing major surgery. That means 6 weeks no heavy lifting and no hard labor. 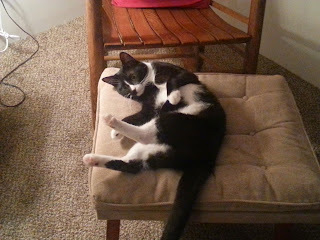 In fact no work at all, which is almost impossible for me to do! So once again we are late with gardening season. Here it is the middle of May and the garden isn't even tilled let alone planted. But I haven't given up hope. I have an idea that I think will work. I just hope my family will help out since I won't be able to do the work myself. Sox the tomato plant lover. 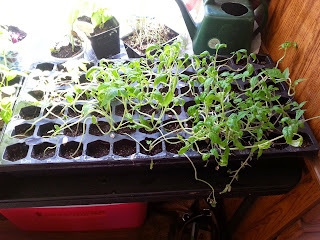 I thought I would share with you the pictures of my plants that I do have growing. 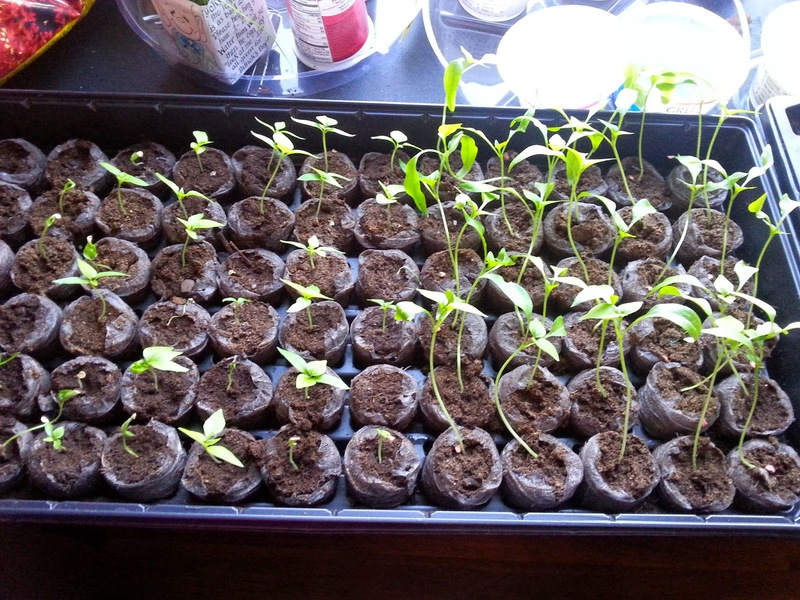 My peppers did wonderful. My tomatoes, not so well. That was due to a certain cat that couldn't keep out of them. Here is where I started. A blank slate. 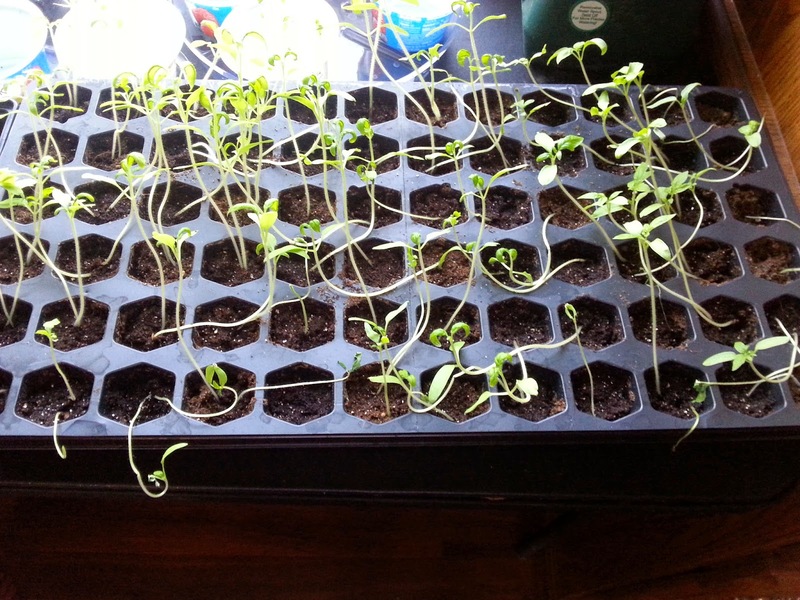 I started these seeds on March 1st. There was snow on the ground and dreams in my heart of the fresh vegetables to eat and can in the coming summer. 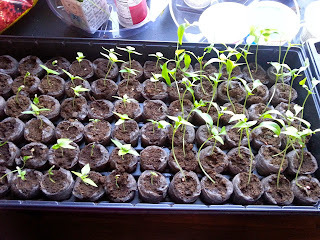 I planted seeds for four different kinds of tomato plants and three different kinds of peppers. 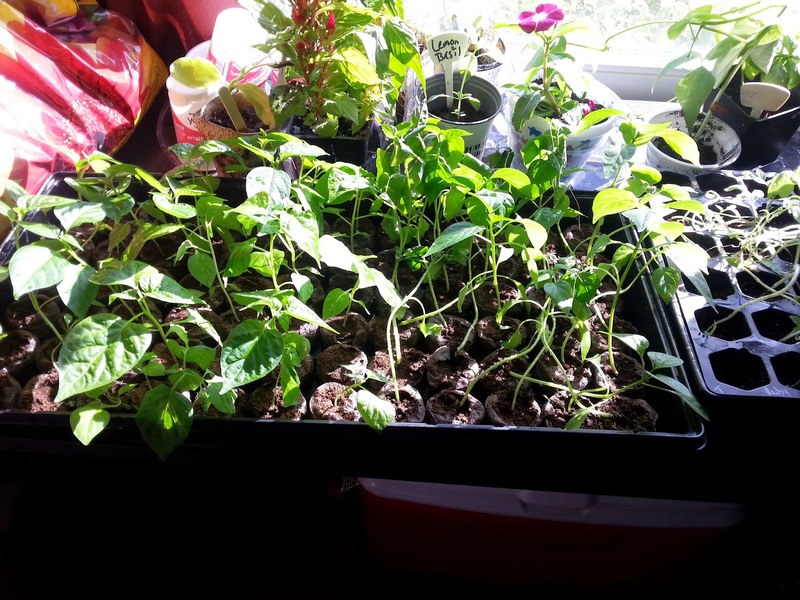 Some of the seeds I had purchased, and some I had saved myself from the ones I grew last year. 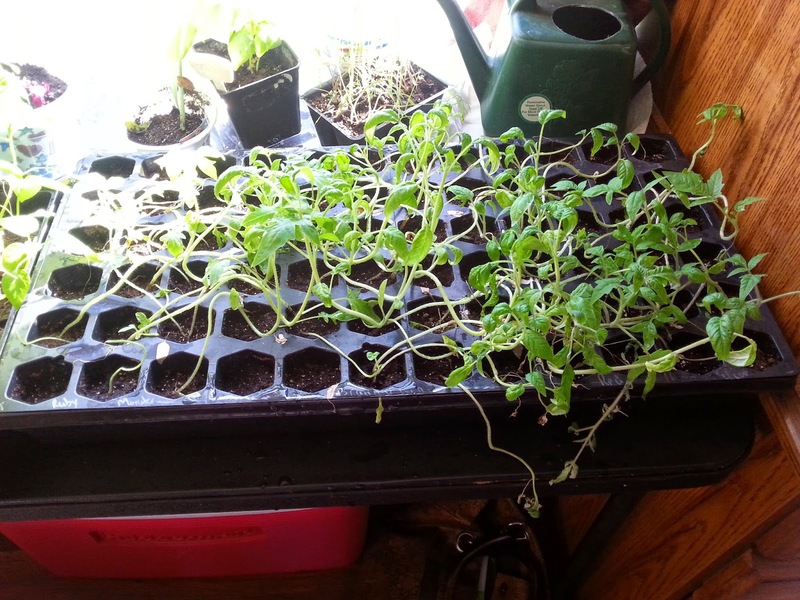 And here are the plants one month later. The plants have grown some and so have the dreams. They look wonderful! 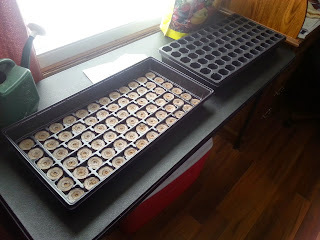 I am so excited and my husband and I start talking about when we need to start working the soil. This also includes redoing the chicken run because during the late fall and winter, we let the chickens loose in our garden spot so that (hopefully) they would eat the bugs we had trouble with in our garden last summer. It was after these pictures that things started happening. And now here it is in May. 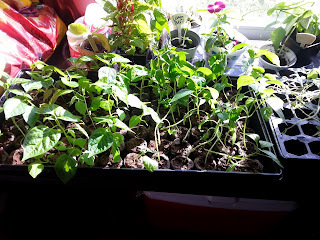 You can see how much the plants have grown and I am determined to still get my garden out. So here is my idea. Instead of tilling the whole garden, I am thinking of having someone just make rows. The chickens have done a good job of trampling down the straw that was in there last year. That straw can serve as a mulch between rows. I have done this before, but it was on my small garden plot. I am sure it would work on a larger garden as well. So is there anyone else out there that is late with their garden? How are your plants doing? Please post a comment and let me know!